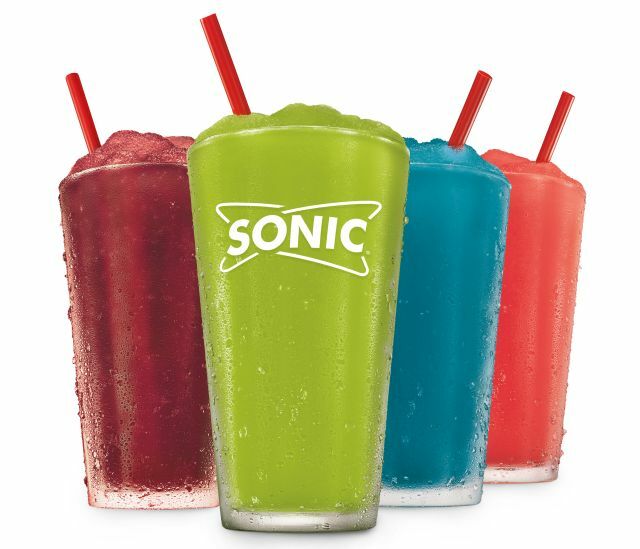 New Snow Cone Slushes are now available at Sonic for a limited time at participating locations this summer. The new flavors of the chain's signature slushes include: Bahama Mama, Blue Hawaiian, Tiger's Blood, and Pickle Juice. - Bahama Mama - Coconut, orange, and pineapple. - Blue Hawaiian - Coconut and Hawaiian punch. - Pickle Juice - Like pickle juice but sweet (it's a popular snow cone flavor in Texas apparently). Like the rest of Sonic's slushes, you can get the new Snow Cone Slushes for half off during Happy Hour.